Ezekiel Rubottom, who had his left ankle and foot amputated three weeks ago, found himself the center of attention over the weekend. 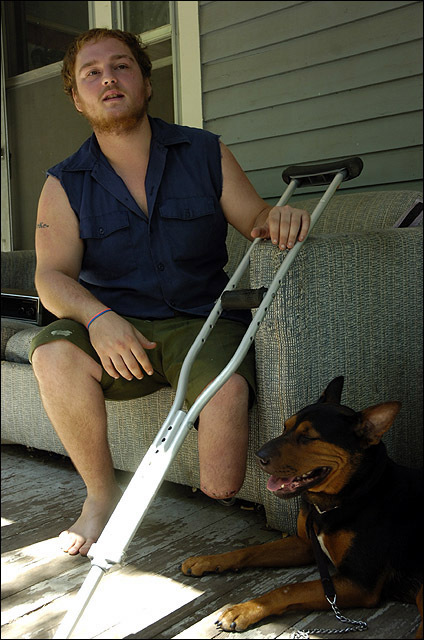 Lawrence Police came to the house where Rubottom was staying and took the amputated limb after complaints from neighbors about a number of people showing up to look at the foot. Police returned Rubottom's foot on Monday after establishing that it did indeed belong to him. 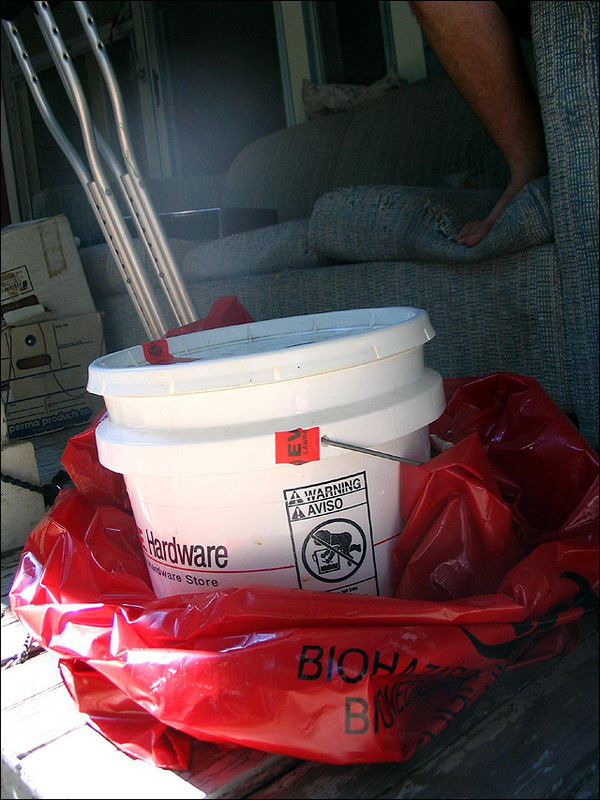 He said a pathologist at LMH checked the foot to make sure it wouldn’t be a hazard, and told him he could take it – as long as he had his own container that was labeled with handling instructions for the formaldehyde. “My friend bought me a Westlake Hardware bucket, and that’s where I stuck it,” he said. Karen Shumate, vice president of quality services for LMH, said people are allowed to keep body parts if they want them. Rubottom admits it may sound unusual, but to him, that’s part of the appeal. Not everyone, he said, can say he keeps his own foot in a bucket. Soon after the amputation, news spread. People started coming by asking to see it. “I think I’m doing better with this than anybody will ever be that’s gotten something amputated,” he said. On Saturday, the foot’s popularity went a little too far. Officers came to the home about 10:30 p.m. after getting a call from the parent of a child who lives nearby and had described seeing the foot, said Sgt. Dan Ward, a police spokesman. When police arrived, some of Rubottom’s friends were there, but he wasn’t. To be careful, officers confiscated the bucket and put it into evidence storage. “We had to make sure that no crime had been committed,” Ward said. Lawrence Police on Monday returned a five-gallon bucket containing a severed foot in formaldehyde to its owner, Ezekiel Rubottom. Karen Johnson, who lives at Seventh and Connecticut streets, isn’t amused. She said the home where Rubottom stays, which is divided into five apartments, has been a noisy nuisance lately. Rubottom said an officer picked him up Monday and took him to LMH, where he signed a release form that allowed police to see medical records verifying that he’d had the amputation. Sitting on the porch Monday afternoon, he put on a plastic glove, dipped a hand into the bucket and lifted out the foot for anyone to see. The next time, he joked, it would cost $2 to see it.